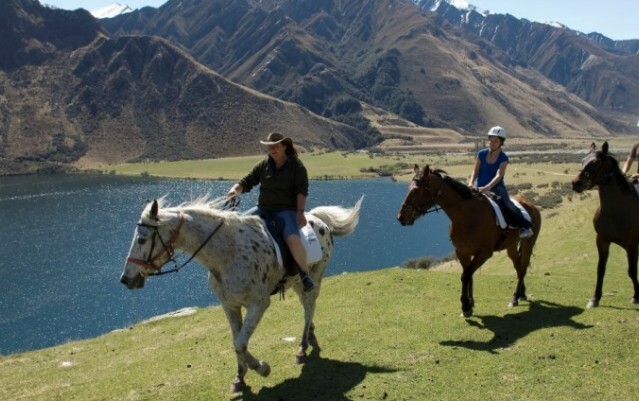 Enjoy some of Queenstown's most spectacular scenery on horseback with friendly & knowledgeable guides & gentle horses. Operates summer only (Oct-Apr). Queenstown New Zealand, is the undisputed adventure capital of the world! Whether it's bungy jumping from a 134m cable car, Ziplining through the forest, throwing yourself out of a plane from 15,000ft, jetboating at 80km/h through the famous Shotover Canyons or heliskiing through the driest powder in the southern hemisphere, you're sure to find an activity that will not only scare your pants off but will also leave you grinning for a year. New Zealand Queenstown is the kind of place where skydiving is as much a tourist attraction as nature walks. In Queenstown New Zealand, the sky is the limit, literally. A traveller with a taste for adventure has a choice between white water rafting, jet boating, skydiving, horse riding, bungy jumping paragliding, mountain biking, offroading and four wheel driving. Queenstown New Zealand offers dozens of options for fun, adventure and excitement. Whether you crave adventure daily, or just like to have your pants scared off occasionally you will find what you are looking for. With so much on offer, your hardest decision will be what not to do! New Zealand Queenstown has long been on the map for adrenaline junkies all over the world. 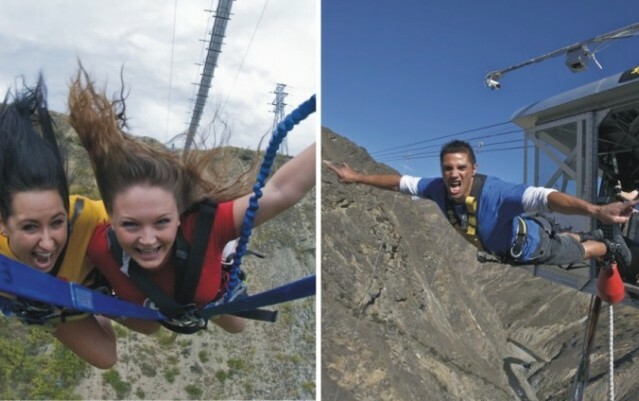 Whether you are looking into skiing in Queenstown, or want to go a little harder and bungy jump in Queenstown, with the number of activities available in Queenstown, New Zealand you will never be bored. However long you plan on spending in Queenstown, double it... and bring plenty of cash, 'cos it's easy to spend up large but I promise, these memories will last a lifetime!! Once you leave Queenstown New Zealand, you will be coming back year after year, and leave a little bit wilder each time. Enjoy stunning scenery & informative guides on a half day guided kayaking tour on the picturesque Lake Wakatipu in Queenstown or Moke Lake. Experience a thrilling, high speed 1 hour jet boat adventure from Queenstown Bay, skimming across stunning Lake Wakatipu & the mighty Kawarau river. Take an exhilarating Tandem Paragliding flight from the top of the Skyline gondola over Queenstown. Look for the 9am early bird special. Take two of Glenorchys best tours and combine them into one day trip for the ultimate Glenorchy experience! Walk the hallways of the old Lockhart hotel for the fright of your life in New Zealand's scariest hotel. Parasail up to 200 metres above Queenstown's lake Wakatipu. Fly solo or with a friend. Look for the Early Bird Special! Experience the Via Ferrata giant rungway in Queenstown, surrounded by spectacular scenery. Suitable for all climbing abilities. Join the madness that is the Shotover Canyon Fox, a world first flying fox like adrenaline rush. Created by the masters of the Shotover Canyon Swing! Swing 400m above the Wakatipu Basin with AJ Hacketts Ledge Swing! Are you brave enough to pull the release cord? Imagine running down a slope, the wind in your face and with every step your whole body becomes lighter until, quite magically, you take flight. Experience the fun of horseriding through "The Lord of the Rings" country. Located in stunning Glenorchy, 45 mins from Queenstown. Operates all year. Experience Skytreks tandem hang gliding aerotow flight, the highest & longest in NZ in the beautiful surrounds of Cromwell. Simon Wilkinson specializes in sight trout fly fishing using 4wd and helicopters to access some of NZ's most remote wilderness trout fishing rivers. Conquer a hole in one from heights at Over the Top's unique golf experience nestled 4500 feet in the Southern Alps overlooking Queenstown. Experience the true beauty of NZ's southern region on a fishing trip of a lifetime. Choose your fishing style and be led by your experienced guide. A first time heliskier or a max vert regular it doesn't matter. It's the ultimate snow experience for a skier or boarder. Departs Wanaka & Queenstown. After your cruise on the Earnslaw steamship across Lake Wakatipu, join a 40 minute guided horse trek at Walter Peak Station. Summer only (Nov-Mar). Lift off & drift effortlessly over Queenstown's rugged landscape, lakes, rivers, mountains & locations used in the Lord Of The Rings trilogy. Three great kayaking tours, Islands Safari, Mountains & Lakes & Sunset tour, leave from Glenorchy's stunning shores. Not just a great boat and skipper but also a fishing guide with an uncanny ability to sense fish and create exciting fishing experiences for everyone. Queenstown's newest thrill seeking innovation brought to you by AJ Hackett Bungy. 120m Swing over the Nevis valley. Jump Tandem or Solo! Enjoy fantastic views on your paragliding flight of a lifetime from the highest take off of the 3 main paragliding sites in Queenstown. Raft the Landsborough River on a 3 day, 2 night rafting & camping excursion. 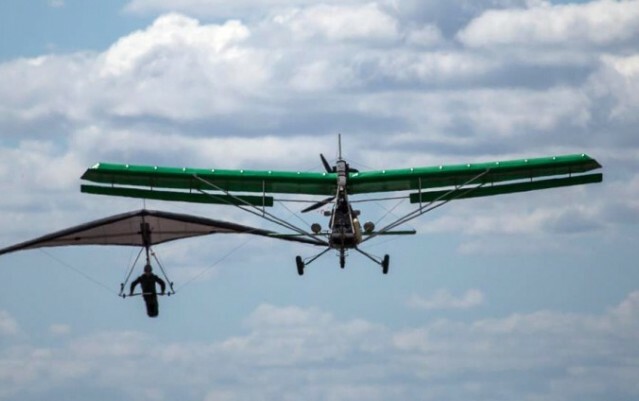 Fly into remote Landsborough Valley to begin your wilderness adventure. Enjoy a full day adventure equipped with your own packraft in the stunning southern hemisphere surrounds. Walk, paddle & enjoy the beauty. 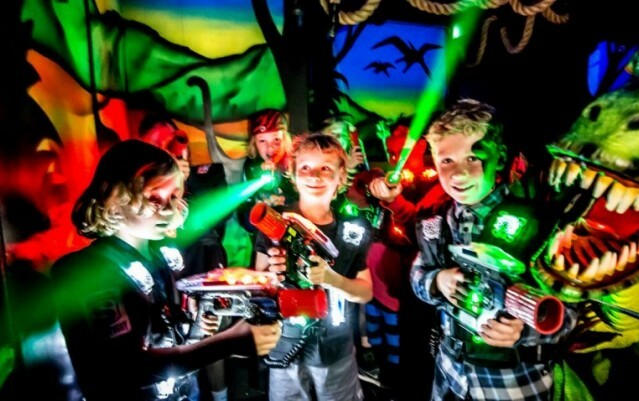 Discover a new sensation that's fantastic fun in Queenstown! Segway on Q's tours are a great way to see the town and have lots of fun along the way. Perfect for those who have no experience skiing or snowboarding. This package includes lessons, rental & lift pass. Got the basics of skiing & snowboarding? Check out our full day packs including lift pass, rental & group lessons. 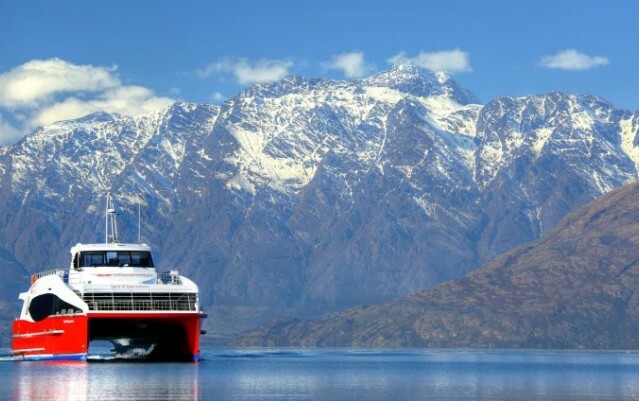 Book your transfers from Queenstown or Wanaka along, with an all mountain pass. Ski the Remarkables and Coronet Peak, two of New Zealands best ski fields. Both are close to Queenstown and offer terrain for all abilities. For some hair raising fun be sure to head up the Skyline Gondola and take a spin on the luge track! Experience the serenity & beauty of the spectacular 'back country' around Queenstown this winter on Snowshoes! Half day & full day tours available. Zipline an 8 line course 1000m through beautiful mature forests and over a pristine alpine stream. Queenstown Winter Festival is New Zealand's biggest winter party & some say the biggest winter party in the Southern Hemisphere! 22nd-25th June 2017. If you're going skiing or boarding then organise your skis, boots & clothing before you head up. You'll save $$ & also avoid the queues on the slopes. New Zealands most popular Ski Field. The 3rd closest Ski field from Queenstown. Only 1 hour 15 minutes drive by car or take the bus. The closest Ski field from Queenstown and also the most popular. Terrain suits skiers and snowboarders of all abilties with great snow making. The 2nd closest ski field to Queenstown only 50 minutes drive by car or take the shuttle. Great for families and also those wanting off piste skiiing. Has the most amount of skiable terrain in the South Island and is particularily good for advanced skiers and boarders. 1.5 hours from Queenstown.